Dandelion? You mean the “weed” dandelion? What is the connection between dandelion root and diabetes? You wouldn’t think that a weed could have any health benefits, but think again. I remember growing up and dandelions were just weeds that I had to take care of. But they are way more than just weeds. I want to reveal to you just how powerful the ingredients that dandelion has and how it can help to lower your blood sugar. When I look back now at what I believed to be weeds and think about now what a weed has as far as health benefits, it’s nothing short of amazing. Dandelion is actually an herb that’s bitter and loaded with vitamins A,B,C, and vitamin D. It also contains the minerals potassium, iron, and zinc. Can you actually believe that dandelions have more vitamin C than tomatoes do? It’s true. Now I love spinach, but dandelion has an equal amount of iron, four times the amount of vitamin A, and even more protein than spinach does! That shocks me because I love spinach and it is extremely healthy for you too. Dandelion is really a multi-vitamin when you look at everything it has for your body. Anyone who was a natural healer years ago kept dandelion root in their medical supply because it was an herb that was necessary for health treatments. Dandelion also contains extremely powerful phytochemcials that have a healing effect and an extreme cleansing effect on your body. This is the best dandelion root product that can help you with the fight against type 2 diabetes and many other health issues. I personally take this everyday! Click below to get now! In the past for many years the Native American people would boil dandelion in water and used it to treat a wide range of health problems including skin problems, kidney disease, upset stomach, liver issues. In other countries it was used to treat appendicitis, diarrhea, and diabetes. * Diuretic- Dandelion root as a diuretic? Yes! It works this way by decreasing fluid retention and increasing your production of urine. It accomplishes this by increasing the amount of salt and water that your kidneys excrete. Always check with your doctor before taking dandelion root as a supplement to be on the safe side. * Coffee- If you are an extreme coffee drinker and need to cut back or cut out coffee, you can use the roasting of dandelion roots as a substitute. You can get it at a health food store or even make your own. * Liver- If you look at the ingredients of supplements for liver support, you will notice that dandelion is often an ingredient listed. Why is this? It’s because this plant has antioxidants that keeps your liver from aging and keeps it operating at top peak levels. Your liver is so important so keep it healthy. And guess what else? Hemorrhaging in the liver can be decreased by the compounds it contains. And not only that, it can reduce the chances of constipation and may help to slow down the advancement of cirrhosis of the liver as well. *Jaundice- Dandelion can aid in clearing up jaundice which is when your skin and eyes appear “yellow.” This occurs when your liver is not functioning properly and you have too much bilirubin and bile. Try having about six cups of dandelion juice a day. Drinking plenty of water is always a necessity and smart thing to do for your body. Six to eight glasses will do. * Cancer killer- This wonderful plant (and all this time t’s been called a weed) is very rich in antioxidants that decrease the free radicals that cause cancer growth throughout your entire body and at the same time reducing any chances of the cells changing that could possibly lead to cancer. This is huge and for that reason in particular, I take (3) 525 mg supplement capsules daily. There is a specific compound found in dandelion called luteolin. This can have a favorable effect on certain elements of the cancer cells by attaching to them and render them useless so that they cannot reproduce. * Immune system- You need to have a strong immune system. You can help support your circulatory and blood systems with dandelion root. This powerhouse plant helps to encourage a immune system to be healthier and aid in a total overall improvement in your health with the necessary nutrients, vitamins, and antioxidants that it contains. Eat right and exercise to keep your immune system strong. * Blood pressure- If you want to get your blood pressure down, it can be done by your urination increasing. This is why a lot of blood pressure meds have diuretics in them. They help in excreting your urine and lowering your blood pressure at the same time. Since dandelion is high in fiber, it lowers your cholesterol and your blood pressure as well. * Gall bladder- It’s very beneficial for your body when organs work together and that’s just what your liver and gall bladder do. I wouldn’t know about the gall bladder anymore since I had mine out but anyway. Dandelion can help to improve excretions from your gall bladder and liver as well and helps improve the bile production from your liver and reduce inflammation. If you want to keep your gall bladder, then stay away from fried and fatty foods. Eventually it will catch up to you as it did to me fifteen years ago. * Heart disease- As dandelion treats lowering cholesterol and lowering blood pressure, it also can slow down or even reverse cardiovascular disease. So while it has antioxidants that are very powerful, it does fight free radicals that can cause problems with your nervous system and a higher blood pressure which can possibly add to a cause of increased plaque in your arteries. You want to get rid of any plaque buildup in your arteries. * Skin health- You want your skin to look good don’t you? You should because it’s the largest organ in your body but the only one that is on the outside and visible to everyone. You want your skin to be clear and look good. Dandelion can help you achieve this because of its content of zinc and magnesium and benefit of helping in detoxification. It can be used topically in applications. You can also take a dandelion supplement or dandelion tea as well. Treat your skin well. You have a lot of it! * Urinary Tract Infections- How common are UTI’s? They happen all too often. This happens with retention of water. This is where dandelion root comes in. Because it acts as a natural diuretic it can treat and also prevent UTI’s. Do what you can to avoid them. Dandelion root can help. * Pain relief- You can give aspirin and other pain relief choices a break. If you take dandelion root on a regular basis, it can reduce inflammation. the result will be a remarkable pain relief for you. * Feeling low- If you’re depressed and feeling down in the dumps, then dandelion can help with wide variety of vitamins to enhance your mood. Depression can actually come from inflammation and being deficient in nutrients. Dandelion can give you relief from depression with its anti-inflammatory properties. Depression and mood swings can really take a toll on your health. * Weight loss- You can get rid of some of those extra pounds with dandelion. Again, they are a natural diuretic that will help with water weight especially. Dandelions are low in calories and they can be used as sugar substitutes since they are not packed with sugars that are not healthy for you. And the more urine that you excrete, the more weight you lose as well. Pee it out! * Anemia- If you’re suffering from anemia, then you’ll want to have dandelion root since it’s rich in vitamins, iron, and protein. Dandelion also has two times as much beta carotene content than carrots do. It’s high in zinc too which is a big plus. There has been research done with dandelion root supplements and they show evidence of treating diabetes by lowering your blood sugar. Some remedies and practices use dandelion as a natural cure for diabetes. Drinking dandelion tea daily has been shown to stabilize and control your blood sugar. Please discuss with your physician first! Nature’s Way Dandelion Root that helps you fight against type 2 diabetes and many other health issues. I personally take this everyday! Click below to get now! Women should exercise caution if pregnant, consult your doctor FIRST before you do anything. Dandelion is not a replacement for medications! Always discuss this with your physician first! Anyone with allergic reactions to marigold, ragweed, or chrysanthemums might have to avoid dandelion because they are all in the identical family. Do you have any problems with your gall bladder or liver? If so, consult your physician first. He or she may want to discuss a possible blockage of your bile ducts. In that case, dandelion should be avoided. If you’re on medications, you want to make sure that there are no conflicts or interactions with dandelion and also because dandelion is a diuretic, it increases the excreting of the drugs you are taking from your body. Dandelion root and diabetes need to be together because dandelion root aids in lowering blood sugar which is good for your diabetes and is very healthy for you, whether you take it as a supplement or as dandelion root tea. Dandelion root is one thing that helps with glucose levels. Yes, Let’s Start Fighting Diabetes With Dandelion Root! First thing first you’re right about me just thinking of dandelion as just weed, I had no idea it had any medical uses whatsoever so to find out that it has so many is really fascinating. I clicked on the article because I saw natural ways to lower bloodsugar because I do have problems with my blood sugar but this does so much more. I mean to find out that it can be used as a substitute for coffee is just amazing, really good article. Not many people think of dandelion as anything other than a weed. Ever since I was a kid that’s all I ever though that a dandelion was. I think that it surprises a lot of people when they find out just what dandelion offers as far as health benefits. Dandelion tea is a great substitute for coffee and much healthier. Feel free to browse the sight for many tips on lowering your blood sugar. Crazy how such an “annoying” weed herb has actually so many benefits. I’ve only recently learned about dandelion roots’ benefits for the hormonal health of women in their reproductive years. It just goes on to prove that God makes no mistake (in my opinion!)! Do you have any tips to attenuate the actual taste of dandelion? How should I consume them? I was thinking about making some tea, but was wondering if I should use the flower too? Yes can you imagine how such an annoying “weed” can be so healthy for you? But let’s not forget that it’s the root that offers the health benefits and not the dandelion itself. I’m glad that it not only has so many health benefits in general but that it also offers benefits for women in their reproductive years as you mentioned. Prepare: Mix all ingredients and heat to boil, then do so for another 10 minutes. Now you can strain, and now add honey for taste and enjoy. Wow, well you learn something new every day. I had no idea that dandelion had so many vitamins and minerals, I’m now very intrigued to try it. Thanks for the recipe as well. In regards to dandelion root tea, do you have any idea which company sells the best or most potent brew? It’s autumn now, so I’ll probably have to wait a good few months before I can start thinking about harvesting some of my own. Thanks for sharing! Yes, isn’t it amazing what dandelion root can do for you? It has so many vitamins and minerals and more than probably most foods. You can also take dandelion root supplements. I take Nature’s Bounty. But as far as which company sells the best dandelion root tea? I would recommend: Traditional Medicinals Organic Roasted Dandelion Root which can be found on Amazon. Dandelion root will be replacing my coffee. I mainly clicked on this article for me but in reading i noticed that many things you wrote about my wife is going thru because she is perimenopausal. Water retention, little weight gain and adult acne which are bringing her spirits and energy levels down. Do you think the dandelion root would be beneficial for her as well? I have to tell you that I think dandelion root is one awesome “weed!” It’s just amazing how many benefits it has. When I first found out about it, I was immediately drawn to it. I’m willing to bet that most folks don’t know just how good dandelion root is for you.And yes I do believe that it will help your wife with these issues. I always advise to check with your doctor first. Thanks for your comments Edwin. Happy and healthy to you! Wow, I knew that Dandelion had some health benefits, but did not realize that it had so many! Wonderful information, thanks for sharing! This is a very interesting article! I learned a lot and I will surely share this article to my aunt. Hopefully will help her feel better trying this out! Thanks! Yes we really need liver support, immune system booster, and skin health, for my two kids’ eczema. I never knew this about dandelion root! Will definitely have to look into this. Thanks so much for the informative post! Awesome information! I had heard about dandelion root before, but never knew this much about it! Thank you for providing all this amazing knowledge! While not diabetic, I always love to incorporate natural health methods into my lifestyle and diet, and dandelion root will now become part of that! Hi, I think there is a reason why all kids pick dandelions to give to their moms! Even though grown ups typically think of them as weeds, they are beautiful flowers that have so many benefits if you eat them. And of course, not to forget that they help our bee population! Thank you for such a comprehensive article! Oh wow! When my middle daughter was a little girl, she used to dance around the yard like a little pixie and would pick me a bouquet of dandelions every single day. She even picked them for her kindergarten teacher and would pass them to her through the classroom window as she was skipping by to the door of the school! That teacher has told me, even many years later, how she still remembers and how she just loved that about my daughter. Precious memories. 🙂 This is a wonderful great start on your website; very informative, useful knowledge… some in my family also have diabetes, I’ll be sure to tell them to check out your site! Keep up the good work here! Wow. This information is very enlightening. I am always glad to learn about ways I can better take care of myself and my family. Thank you for sharing this information with me. Are there any other roots I should pay attention to? Wow! Who knew that dandelion root was so healthy? I have seen dandelion root in the store as a fresh green and even seen a couple of recipes online for its use, but I didn’t know that it had some properties that make it even more potent than tomatoes and spinach. Thanks for taking the time to list out all of the benefits and some of the precautions for adding it to our diets. I had no idea that Dandelion root was THIS useful. It’s really remarkable that so many of the things that we have in nature can be so helpful to us. I really enjoy this site because there is a focus on using natural medicine and not medication. I work in healthcare and I see so many of the side-effects of medications causing more ills than good. I really like this approach! Hi Dave 🙂 Isn’t it amazing that a “weed” can provide so much for your health? When I was growing up I played with dandelions all the time and who knew that dandelion roots could help diabetes and other ailments? I had dandelions in my backyard in the past and I never even looked at them. My dogs tore apart and almost all of the plants I had so I no longer have the dandelions. Now I really regret not taking care of them. It seems really great for what I need right now, especially the feeling of being down and the retaining of water. I’ll see if I can get the plant again but if not, I already know where to get the supplement. Are they as good as if it was prepared naturally? Hi Pao 🙂 I think we all had dandelions in our backyards at one time or another. It’s a shame that we all thought they were just weeds. It turns out that they are very good for your health and can provide many benefits for diabetes and many other diseases. Dandelion tea is probably the healthiest for you although for me, I take the supplement which is good enough. Thank you for your insight! I did know that dandelions were good for you but I have never tried them. I did not know which vitamins and minerals were in it though. I collect a lot of dandelions for my bunnies, they love eating dandelions, and the leaves and everthing. I did not know that it had more vitamin C than tomatoes and more protein than spinach, wow that is amazing. I did not know it could lower blood sugar and help with diabetes and so many other things. It’s good that you know that dandelion roots are good for you because I’m sure most folks don’t know. It’s a good fact to know though. This so called “weed” is healthier than many vegetables actually. It does contain many minerals and vitamins. It’s amazing! I love the fact that it helps with diabetes and blood sugars. For diabetics this is great news! It also is beneficial against cancer cell growth! As a diabetic this is fantastic news for me. I am always looking for healthy alternatives and something different, This seems to hit the mark where it should be. I have to say I love the internet because I can find articles like this. I was wondering if you have any suggestions on any other weeds that are edible. I do a lot of research and I was amazed when I learned just how good dandelion root is for you. Anything that helps to lower blood sugar when you are a diabetic is good for me! But not many folks would think that something like dandelions could be healthy. The fact is that dandelion root has anti cancer properties is awesome too! There are other weeds that have benefits. Click HERE to find out! Interesting fact I have never heard about dandelion….. This is good , so weeds can turn out to be a savior. It works for nearly all organs of the body…… Heart, live, kidney…… It’s probably an all in one plant. This is for information…….. This weed grows readily and is available in almost any garden. It’s amazing how a weed like dandelion can be so healthy for us but it is. I love the fact that it’s beneficial for blood sugars and diabetes. Anything that can help control diabetes is on my list for sure! But a powerful benefit is that dandelion root had anti-caner properties and can possibly kill cancer cells! That’s good enough for me. I take it every day! 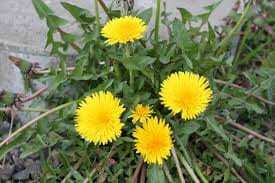 The post about valuable weed Dandelion covers a large domain of treatment to many of critical body systems. The post is written well and it will help the mankind. The number of diseases it is helps is remarkable. Are there researches with reference to literature that may convince people more! Nutrition facts of Dandelion as a label on the post may uplift. The only experience with this weed I have is removing them from my lawn from their root using some gadget my husband got and he taught me how to remove them completely from there root. I am thinking of how ignorant I am after reading this post. Possibly everything on earth’s surface has some purpose. I enjoyed reading the post and feel very happy knowing about the weed. Thank you for your help offering a valuable and essential secret to lead a better life and helping cure a wide spread disease through a simple treatment. It’s amazing what you can learn about something like a “weed” known as dandelion. Most people wouldn’t know just what dandelion can do for you. I used to do the same thing with dandelions. Just remove them from the garden! Who know they could help with diabetes and blood sugars? It’s important that everyone know how beneficial dandelion root is for their health! I am intrigued at the health benefits that Dandelion has on the liver. I have been to the doctor recently and they have told me that I have fatty liver. Does Dandelion help in lowering my fatty liver because of these antioxidants? I will consider adding it into my diet in the near future. I’m willing to bet that most folks don’t know just how dandelion root can benefit you. My main concern is that it helps with lowering my blood sugar and diabetes. It’s amazing what it can do. I also have a fatty liver and yes, dandelion root can do wonders for your liver. I take it in capsule form because to make a tea from it is a bit too bitter for me. Dandelion sounds like a really interesting root with lots and lots of health benefits which I didn’t know before reading this awesome article today. When I went through the article I was really surprised to know how much health benefits it gives back to us. Thank you so much for sharing this precious information with all of us. Most people just think of dandelion as a weed that doesn’t do anything and that’s not true. Once you realize what it can do for you, you will be amazed at how it can help you with your health. For me, the most important thing it does is helping with blood sugars. Who would ever think that this so called “weed” could do that but it does! I hope it helps you in so many ways! Appreciate your thoughts! Im very interested in this subject. It seems like there are so many prescriptions out there that people use in order to mitigate the symptoms of their sicknesses. I can confidently say that many of my problems have been alleviated due to the intake of certain plants. Changing the diet is a huge factor. I really had no idea that dandelion had so many health benefits though. I wonder why I don’t hear much about it. Do you know why this isn’t a heavily marketed product? Maybe it is and i just haven’t seen it. Also, I am not a diabetic but I do want to do anything I can to improve my livelihood. Would dandelion help me? It’s well known that plants are good for us. We’re always told to eat fruits and vegetables. I did a good deal of research on dandelion root and found out that this so called “weed” is very beneficial for not only diabetes and lowering blood sugars, but for many other ailments as well. It provides anti-cancer benefits too which is very important! I don’t know why dandelion root is not more publicized than it is but it should be! It can help protect against type 2 diabetes: click here for further info! Awesome thank you so much for the prompt response! I love dandelion and have used it for many ailments throughout the years. The bitters I use for digestion have dandelion in them, and I made a dandelion tincture that has been amazing. I like how you said dandelion is a vitamin because it’s so full of nutrition. Personally, I have used it for better blood sugar management, insulin resistance, and diabetes prevention. Together with chicory root, I use dandelion as a flavorful coffee alternative. Thanks for this informative article on dandelion. It’s one of my favorites for sure! I didn’t, however, know it was good for depression. I’m happy to know that now! I was so surprised when I first learned of the benefits of dandelion root. I guess it was because I was diagnosed with type 2 diabetes and looked for ways to control my blood sugar. It is great for insulin resistance and when you’re a diabetic, that’s crucial. So dandelion root became part of my daily routine and it is so powerful when it comes to health benefits. Using dandelion root as a coffee alternative is interesting! It does help depression, at least in some folks! 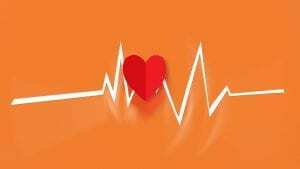 I am always concern about liver, heart and diabetes problems as it runs in my family. Whenever I eat lots of seafood, I’ll have allergy on my skin. Dandelion root is something very new to me. Don’t think it is selling in the country I live in. 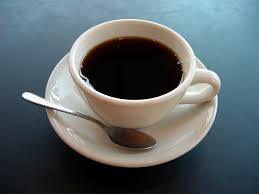 Btw, I drink coffee everyday and find that it’s causing high frequency of dry and itchy skin. Can Dandelion roots help? If things like that run in your family you should be on alert. Dandelion root is extremely beneficial for you and diabetes and blood sugars. First off, maybe you could cut down on the coffee? I’ve heard of dandelion’s having health benefits but until now, I didn’t know what those benefits were. What an amazing thing it is to know that this plant we’ve considered a weed could be so full of vitamins! As you say, it can benefit our bodies in so many ways. It’s very cool that Native Americans would use it to treat many issues. It’s also weird to think that when I was growing up, my father would take the herbicide to any dandelion that came into view! If only we’d have known! I’ve considered making dandelion tea but never have. Since so many of them sprout up in our yard, maybe this time around I’ll do it. Thank you for your enlightening post! I’m not sure that many people are aware of dandelion root providing any benefits but it does! The fact that it helps with lowering blood sugar and helping diabetes is a main concern for me. But the fact that it’s beneficial for so many other things makes this “weed” that much more valuable. I take dandelion root every day and never miss it. I want the world to know how important dandelion root is! Amazing like others that commented on this post i also didn’t realize how much good this little weed can do , its unbelievable how many benefits there actually is to taking dandelion root. You mention that you take (3) 525 mg supplement capsules daily. would you consider this an average dose? I think some people are actually shocked to learn that a weed such as dandelion could possibly provide health benefits. But the fact of the matter is that is has many powerful benefits. It’s been known to have possible anti-cancer effects as well. This is one of the reasons I take it every day too. Yes, the 3-525 mg capsules are the recommended dosage listed on the bottle. I wouldn’t take any more than that. I learned a lot from this article. It’s informative and helpful. Now I know how important the dandelion weed is. I’ll accord it more respect now, its value is immense. I usually have problems with water retention and high blood pressure, I take diuretic drugs from time to time. Having a natural solution is relieving to know. I’ll be checking in with my doctor for a chance at this natural remedy. I’m glad that you learned some valuable information from the article! You wouldn’t think that any kind of weed could provide any type of health benefit, but dandelion root sure does. There’s a long list of benefits from dandelion root and the two main reasons I take it every day are for helping to lower blood sugars and because of its’ anti-cancer properties it contains.